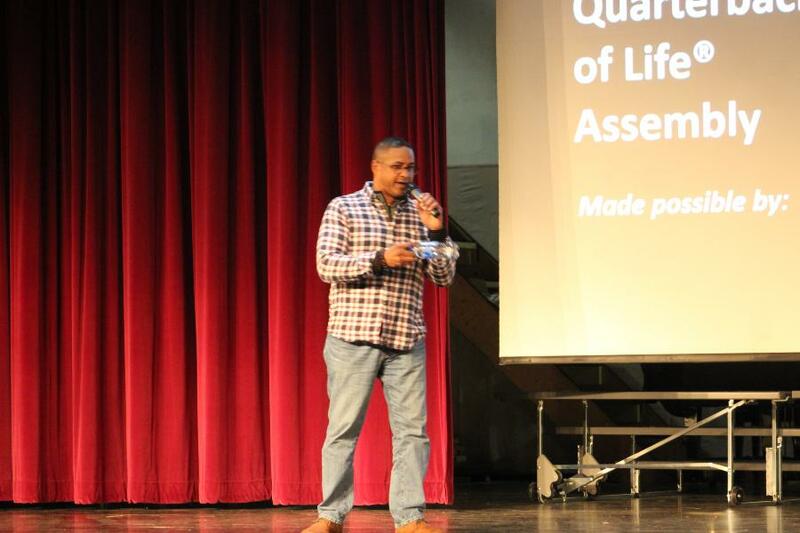 Beating the Odds > News > Events > QBOL Assembly with Roberto Clemente Jr.
On March 18, 2019, Roberto Clemente Jr. spoke to students at Bellwood-Antis Middle School, Bellwood, PA as part of a Quarterbacks of Life assembly program. 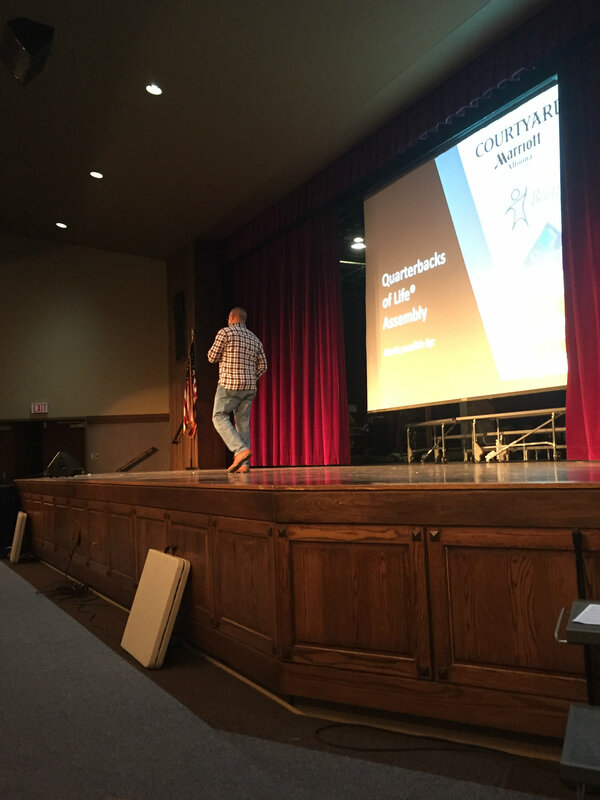 Roberto had approximately 400 5th-8th grade students locked in during his presentation for the almost two-hour assembly. 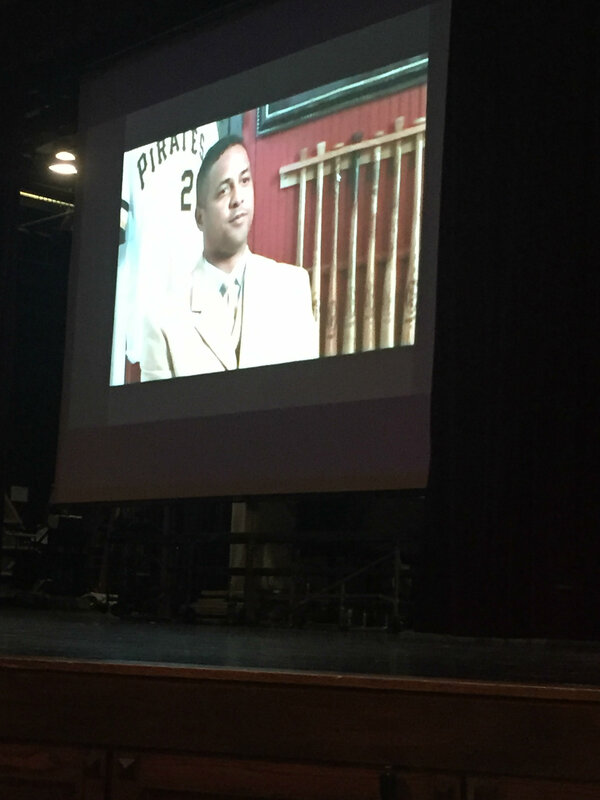 Roberto Clemente Jr., a baseball broadcaster, philanthropist, entrepreneur, and former professional baseball player from Puerto Rico, addressed the students on his own life story from the tragic death of his father to becoming a professional baseball player and facing many injuries. 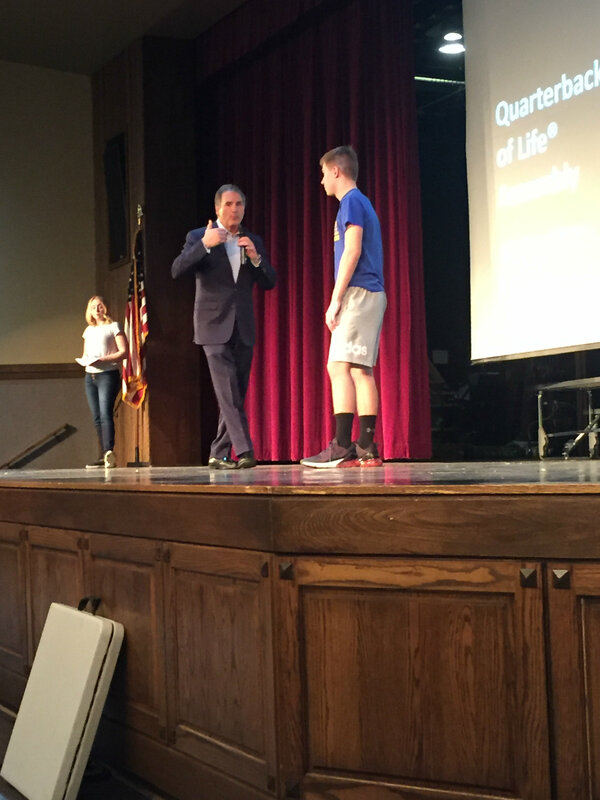 He also shared with the students his focus on philanthropy, something he has been involved in since a young age. 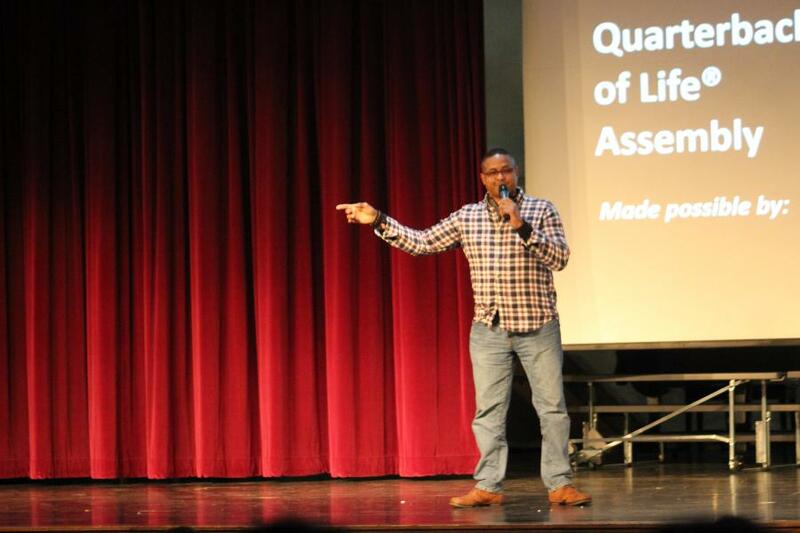 During the assembly, Roberto asked the students to hold up their index finger. He then told them to look at it. He said it is unique. No one else in the world has your fingerprint. 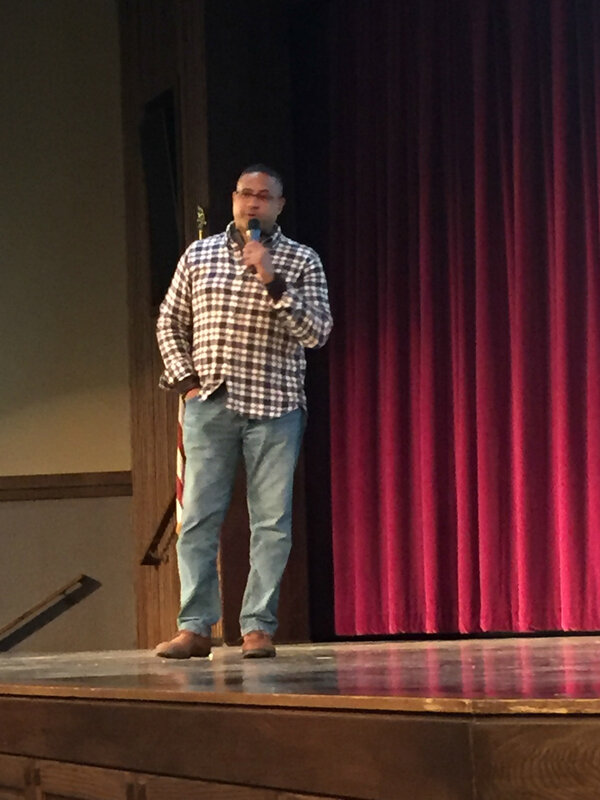 He told the students that everything they touch will stay their forever. He said we need to make sure we leave a positive fingerprint for everyone to see. 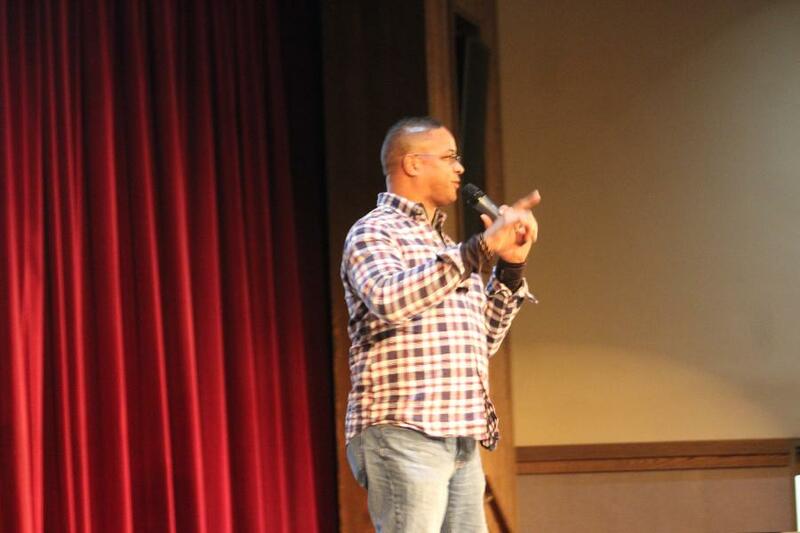 He told them that the fingerprints they leave behind is their legacy. 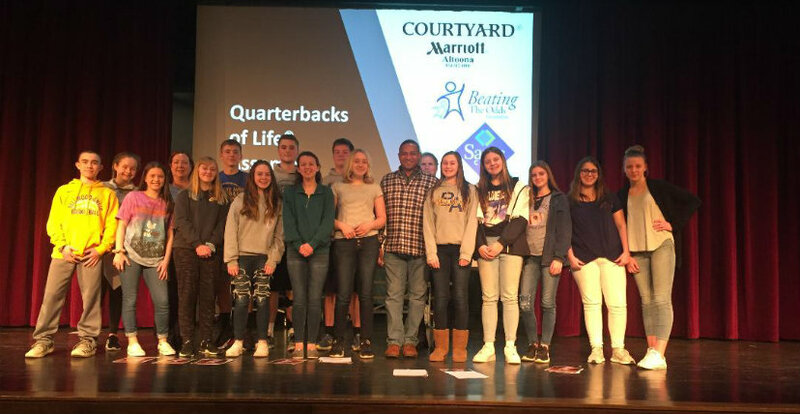 This is the eighth year that Beating the Odds Foundation has worked with Bellwood-Antis Middle School in bringing a QBOL speaker to the school as well as working with students in the Leadership Team. 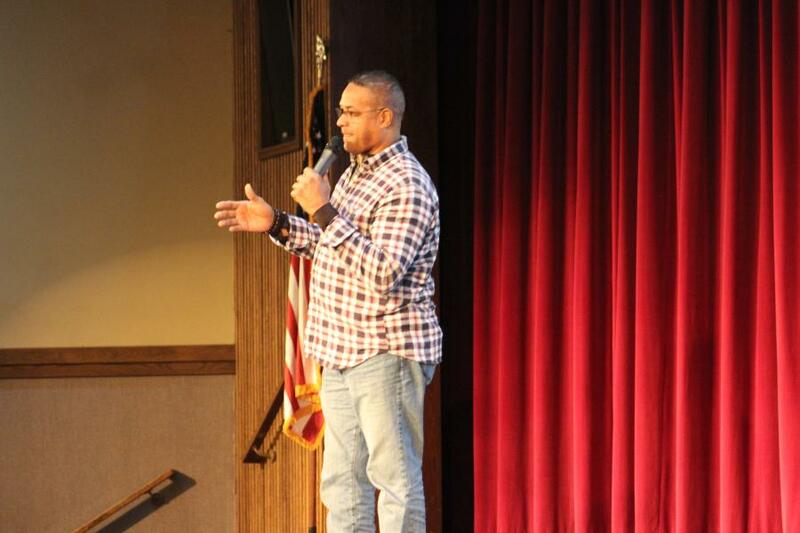 Special thanks to our sponsors: Sam’s Club (Altoona), Courtyard by Marriott (Altoona), US Foods. 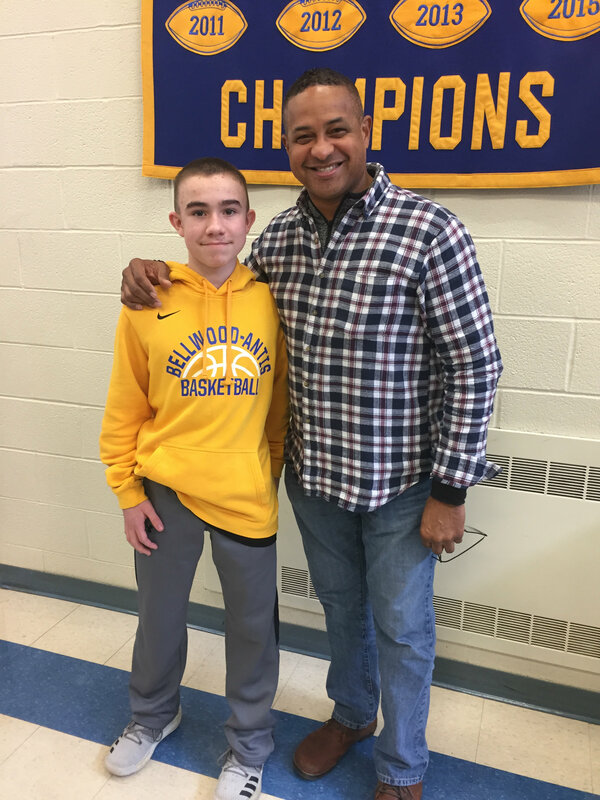 Bellwood-Antis Middle School QBOL Assembly Roberto Clemente Jr.